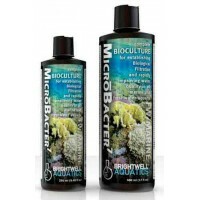 MICROBE-LIFT/Nite-Out II living bacteria is our “GO-TO” bacteria that we use at Aquatic Warehouse! Its highly-specialized microbial consortium of nitrifying cultures that are specially formulated to eliminate ammonia via a natural biological process termed nitrification. The cultures contain in MICROBE-LIFT/Nite-Out II will establish, promote or stabilize and maintain nitrification in aquarium waters, eliminating the toxic effect of Ammonia and Nitrite. 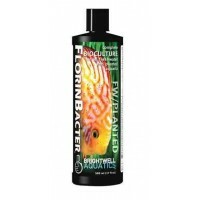 MICROBE-LIFT/Nite-Out II liquid nitrifying bacteria contains select strains of Nitrosomonas, Nitrospira and Nitrobacter. Nitrosomonas oxidize ammonia to nitrite and Nitrobacter and Nitrospira oxidize nitrite to nitrate.